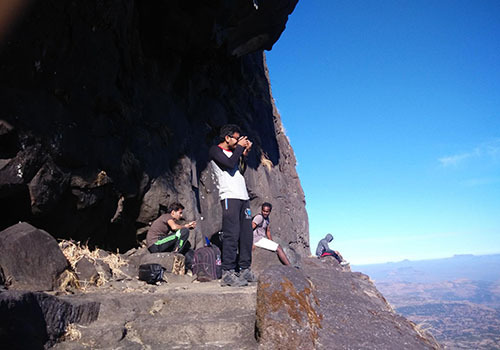 AMK Trek – Alang Madan and Kulang, is a trek which combines ascending and descending of 3 forts in 2 days times. 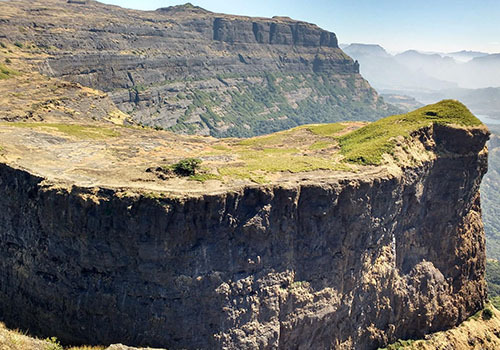 We start AMK Trek from Alang Fort which is in Akole Taluka of Ahmednagar District. 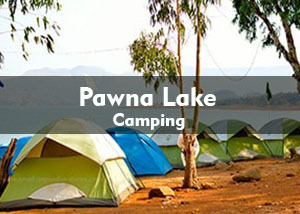 It is 140 kms and 242 kms away from Mumbai and Pune respectively. The AMK Trek is difficult to say the least. 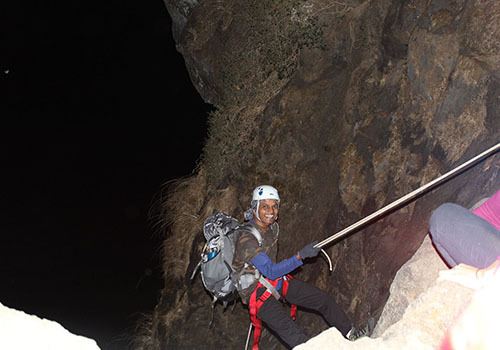 It involves a traverse on the edge of around 1 hour and 3 – 4 climbing and rappelling patches. 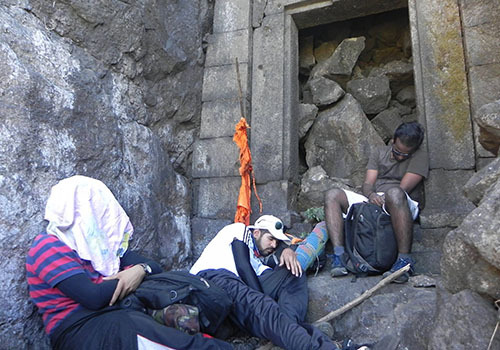 Endurance required for such AMK trek is very high. It is said that if the AMK trek is more difficult it will offer even great view. The statement is true in case of AMK as you can view Madan and Kulang on your to Alang with various landscapes spread across the horizon. 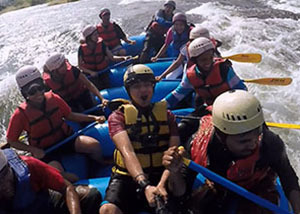 All in all, a perfect getaway for extreme adventure enthusiasts and trekkers. 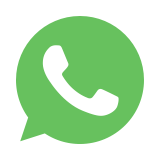 Meet at Kasara Railway Station at 1:30 am. 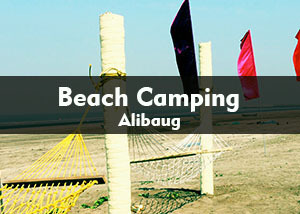 We will travel in a transfer a vehicle to Udavane which is the base village of Alang. Reach Udavane village around 3:30 am. 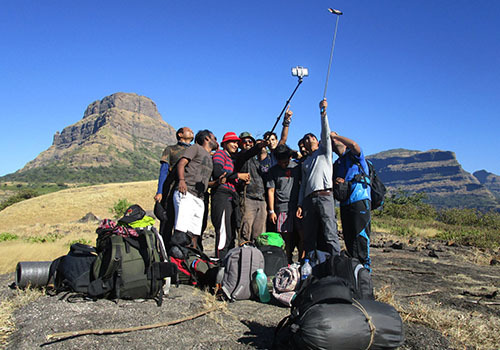 After a fun introduction round, start the trek to Alang fort making use of your torch. 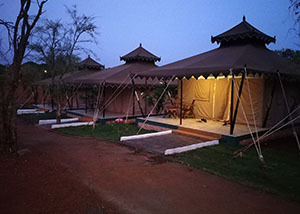 Enjoy the morning view of the traverse and the nearby fort, Madan Fort and Kulang Fort. We will reach top around 7:30 am. We will have breakfast and will explore the fort. We will rappel down Alang Fort around 8:30 am and will start the traverse towards Madan Fort. We will reach Madan Fort around 3 pm. 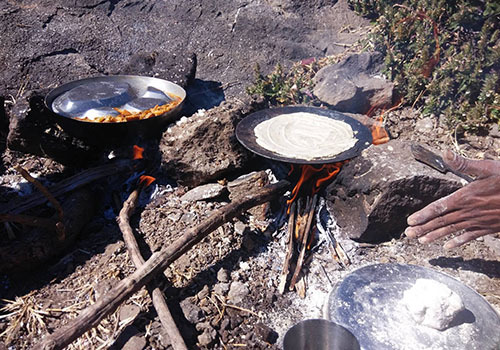 Enjoy the late lunch cooked by local villagers and rest in the caves. Don’t forget to enjoy the sunset before dozing off. You are required to have all the meals as tomorrow will be a big day. Wake up around 5 am. Freshen up and enjoy the sunrise view from Madan Fort. After an early breakfast we will rappel down and start the trek to Kulang Fort. After we rappel down Madan Fort, we will proceed to Kulang Fort. The trek is comparatively easy. The Stone Carved steps takes you all the way to Kulang Fort. Enjoy the Lunch and explore the fort. We head back to Kulangwadi, base village of Kulang, after exploring the fort. We will reach the base village around 4 pm and travel in our transfer vehicle to Kasara Railway Station. Don’t forget to share your AMK Trek feedback before you bid adieu.